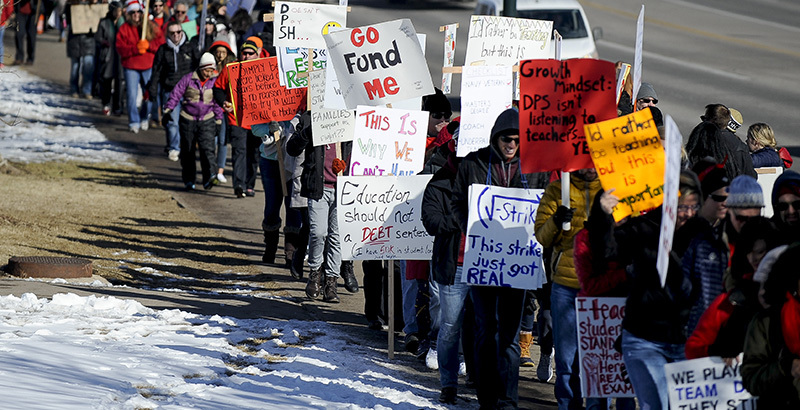 Teacher strikes in Denver and Oakland were hailed as great victories by their respective teachers unions, but they had repercussions that cost real people their jobs. The Oakland school board approved the layoffs of hundreds of school support employees to offset the costs associated with the teacher contract ratified by the Oakland Education Association after a seven-day strike. Most of those support employees are represented by a local affiliate of the Service Employees International Union. SEIU represents a large variety of workers, including school support employees in many areas. But it is facing problems in one of its health care affiliates. An SEIU staffer filed a sexual misconduct suit against the union’s United Healthcare Workers affiliate and its president, Dave Regan. Regan also serves as one of the national union’s vice presidents. Payday Report found staffers who corroborated the allegations and learned that the union had subpoenaed Google to learn the identity of the anonymous blogger Stern Burger with Fries, who has reported on various SEIU scandals for years. If that weren’t enough, employees who work at the union’s national headquarters in Washington, D.C., have authorized a strike. The staff union claims SEIU managers have been outsourcing work to nonunion contractors. The two sides entered mediation to try to work out their differences. The Oregon Education Association is threatening a walkout May 8 if the legislature does not come up with a state budget the union likes. It might be difficult to organize that walkout unless the union comes to a new contract agreement with its own employees. Negotiations have been contentious as the staff claims union management is demanding cuts and takebacks. Kentucky getting sick of sickouts? Kentucky Commissioner of Education Wayne Lewis asked school districts that were experiencing sickouts for protests to send him teacher attendance records for those days. Organizers of the sickouts complained that they were being threatened with disciplinary action for exercising their First Amendment rights. However, a close examination of the First Amendment reveals it doesn’t guarantee a full day’s pay if you don’t show up for work.